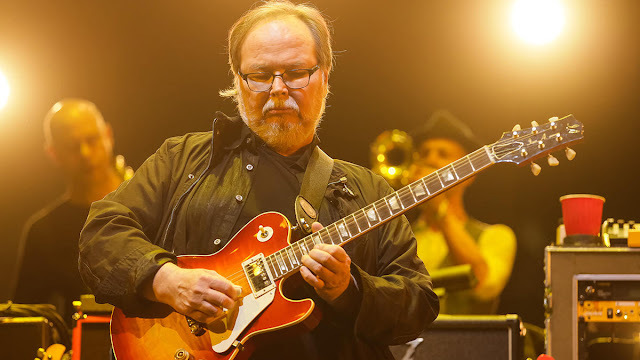 Steely Dan guitarist, bassist and co-founder, Walter Becker, died Sunday at the age of 67. Becker's official site announced his passing, but no cause of death was given. "You loved music more than anyone I know. You're always there bobbing your head to each beat, doing a little dance here and there, or sitting over there with your big head phones on and swaying back and forth. I could see it, your dissecting the song — listening in closely for each beat, for each musical instrument — you know, whatever you musicians do." Watch Becker's last performance with Steely Dan below, captured by a fan at Roger Sherman Baldwin Park in Greenwich, CT.